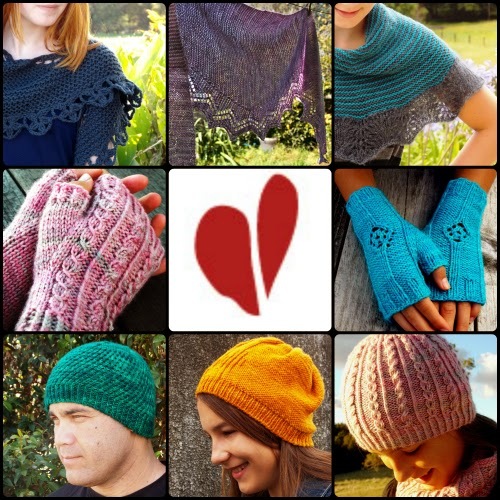 It's that time of year again, the second annual Ravelry Indie Designer Gift-A-Long (GAL) begins this week! This year there is an impressive 293 designers participating and it looks as though it will be even bigger and better than last years fun event. Not sure what the GAL is? The GAL is a co-ordinated knit/crochet-along event featuring independent designers. The GAL begins on November 13th and runs until December 31st 2014. Join the Ravelry group to knit and chat-along and be in to win any of the thousands of prizes up for grabs. There are games and giveaways and lots of fun activities going on in the group. It's a fantastic way to support indie designers on Ravelry and also to find new to you patterns and designers. Here is the bundle of patterns I am discounting for the GAL. I am so excited to be joining in this event again this year. Last year it was so much fun and I had a great time finding new-to-me designers and knitting up some gifts.